Predicting the Future: How Will Google’s Search Algorithm Change In 2016 and 2017? 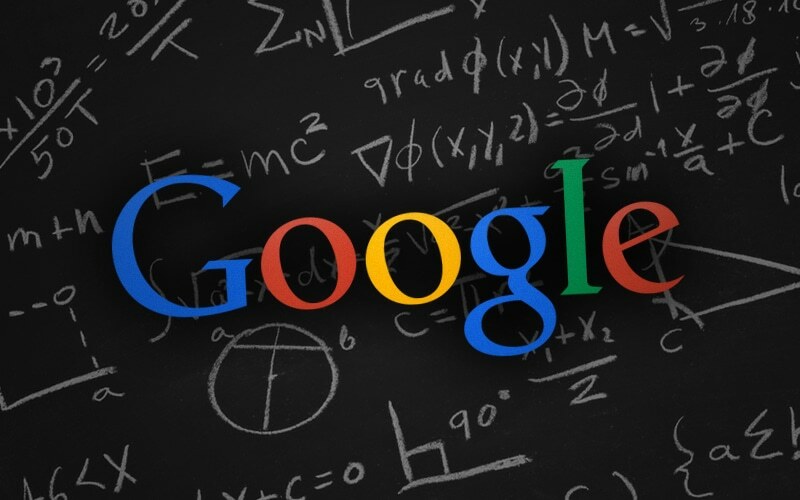 Home » Predicting the Future: How Will Google’s Search Algorithm Change In 2016 and 2017? I frequently receive e-mails from clients linking to articles about Google’s latest algorithm changes. “Should we be worried?” is the usual question I can perceive between the lines. The answer is always “no.” Why? Well, if someone is a client of ours, that means a) their site is healthy and b) they are putting out original thought leadership content each week – and any company that is doing that needn’t worry about an algorithm update harming them. Now, when I make that statement, I’m not laying claim over any special ability to predict Google’s algorithm changes; I’m simply relying on my knowledge of the way that Google has acted for the entirety of their 17 year lifespan. In fact, I’d even go so far as to say that if you understand one core principle of Google Search, none of the changes to its algorithm should have ever surprised you. That one core principle that Google Search lives and dies by is this: Do what is best for the searcher. Does Google maintain this principle because they’re nice guys? No; they do it because it protects their brand. It’s as simple as this: if Google were to allow low-quality web pages to creep into its search results for an extended period of time, the meaning of the word “Google” would change. Do you know what it means now? It means “a brilliant, forward-thinking technology that makes our lives easier every day.” Make no mistake about it: Google is a utility, like water and heat, that we rely on without giving it a second thought. If the water stopped running in your house, you’d probably go into a mild panic. And if Google stopped, the reaction would probably be only slightly less extreme. Obviously, this is a brilliant situation for Google because it makes their brand image as strong as a brand image can get. But let’s stick with the water metaphor for a second. Imagine the water in your house doesn’t stop, but it starts coming out of the tap sort of dirty. Well, you’d quickly find an alternative – bottled water perhaps – even if it were more expensive and less convenient. In the same way, if Google’s search results didn’t relate well to the search we typed into the box, we’d reluctantly seek out an alternative. Bing, anyone? Yahoo? Does Ask.com even still exist? So, this is all to say that Google needs you to believe unquestionably in its core product – Google Search. Which brings us back to the reason you shouldn’t be surprised by any of Google’s algorithm updates: every single one is a somewhat-obvious attempt to deliver better quality web pages to people who are looking stuff up on Google. I’ve heard countless webmasters complain that Google screwed them over when they released the Panda update, slicing their traffic by 50% or more. But many (not all) of those same webmasters were publishing junk content just to trick Google into promoting their pages. That doesn’t help Suzy Q Searcher feel satisfied with her search results, and therefore Google bore down on the behavior. The latest algorithm update that made waves this past week is Google’s demotion of sites that aren’t mobile friendly. Well, are you surprised by that? Do you know anyone under the age of 65 that doesn’t have a smartphone? And why wouldn’t Google want them to be able to easily browse websites on those smartphones? It’s the same with the many Google updates that penalize websites that have bought links. (To be fair, the businesses who suffered from these updates usually just made the mistake of hiring a low quality SEO company.) Any person who has studied Google at all knows that their algorithm is largely based on understanding the linking relationships between websites. If you try to fool Google into thinking that your site is more valuable than it is by buying links, it shouldn’t surprise you that Google puts your site in the penalty box. Now that I’ve made my point about Google’s survival-grade interest in serving high quality search results to its users, I’ll say this: there is one algorithm change that occurred recently that is a little off the beaten path for Google. And that’s their newest foray into social search. 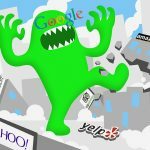 Here’s some background on the topic: Google has been working for years on trying to integrate information from the social media websites we visit into our search results. They believe – and rightly so – that that we would like our friends’ and colleagues’ opinions when we perform certain searches. A good example is in the travel category. If I were planning a trip to Hawaii and needed a hotel to stay at, I’d definitely like to know which hotels my friends liked and disliked on the island I’m visiting. Social search has been slow to catch on and an overall disappointment for Google. They would have loved if Google+ caught on and they had the kind of treasure trove of social data that Facebook has. But failing that, it’s a slow and steady slog of capturing bits and pieces of our social information through search history, YouTube activity, and user preferences on the various other Google applications we use. Recently, they re-established a partnership with Twitter which will allow them to include tweets in their search results, a move that will make for a richer and more up-to-the-minute search experience when we’re looking for information about celebrities and news – the two categories Twitter specializes in. Will the inclusion of tweets revolutionize Google’s search algorithm? Certainly not. It will be a long and gradual journey towards a more social result set. 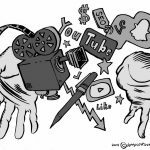 But even when we’re there, be it in 2016, 2017, or beyond, the winners will be the same companies that are at the top of the results now: the ones producing excellent content that people genuinely want to link to and share. So, if you take one thing from this article, let it be that excellent, original content has always been, and always will be, the key to succeeding with Google (and indeed, all social channels). that is nice post about Google’s growth over the years and the SEO game most webmasters are trying to play. The main objective for Google is: “Make their shareholders happy.” Adwords is the #1 source of revenue for Google. If the organic results are not relevant to search, or contain crappy content, people will stop using Google’s search engine. That would, in turn, lower ad revenue. So, in short, Google’s love for “quality content” is just a by-product of their need to have their Adwords ads clicked.